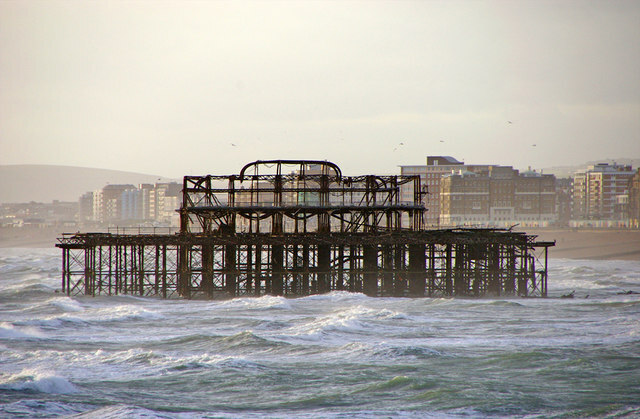 Re: Brighton Pier: What would you want? Or what would you change? Is the burned out pier still there? Only been to Brighton once and that was in 2005. Yep, I do believe it is. It's quite further up from the 'new' pier but still stands. Thanks to Lewis97 for my Amazing Signature! Unfortunately, more or less nothing remains of the West Pier so a completely new one would need to be built, which is a shame when you consider how it used to look. As for Brighton Pier, I think one thing they could do is run their booster better as it has a great position over the sea and its current ride cycle isn't as good as some travelling ones I've ridden. Last edited by SwEDEN on Sun Jan 26, 2014 11:28 am, edited 1 time in total. Location: A house, A street , A town. Never made it to Brighton pier. Do you recommend I go? Sign up to a new funfair forum! I wouldn't go out of my way for it, if you're in brighton, sure, pop along, but I wouldn't plan a trip to Brighton ESPECIALLY for it.. Thanks, Its nice to hear the opinion of fellow enthusiasts, better than looking at those bias tourist websites! Fairly serious accident at the pier which probably does nothing to ease that bit of paranoia you get when watching flat rides. For an air ambulance to be called it was likely a fairly major injury. Not the first major incident on the pier. Hopefully it was a freak accident and not a result of poor maintenance.